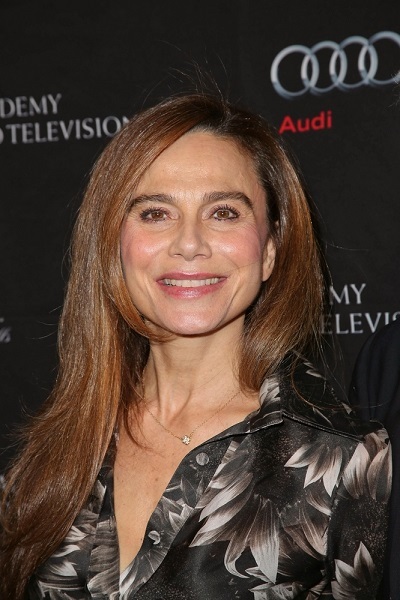 Lena Olin is a Swedish actress. She was nominated for the Academy Award for Best Supporting Actress for Enemies, A Love Story (1989). Lena is the daughter of actress Britta Holmberg (Britta Alice Holmberg) and director Stig Olin (born Stig Högberg), who appeared in six of Ingmar Bergman’s films. Lena is married to director Lasse Hallström. Lena has a son with her former partner, actor Örjan Ramberg; and a daughter with Lasse. Lena’s father was adopted by Nils Gustaf Olin and Siri Torngren. Lena’s biological paternal grandfather was Thor Gösta Åberg (the son of Johan Teodor Åberg and Anna Emelie “Emilia” Lindström). Gösta was born in Skanör, Skåne. Johan Teodor was the son of Olaus Åberg and Amalia Mathilde Smith. Lena’s great-grandmother Emilia was the daughter of Johan Petter Lindström and Christina Charlotta Mattsson. Lena’s biological paternal grandmother was Karin Elisabeth Högberg (the daughter of Nils Magnus Johansson Högberg and Ida Augusta Lundqvist). Karin was born in Alnö, Västernorrland. Nils was the son of Johannes Jönsson Högberg and Karin Jonsdotter. Ida was the daughter of Anders Lundqvist and Brita Lisa (later Elisabeth) Öhman. Lena’s maternal grandfather was Gustaf Arvid Holmberg (the son of Gustaf Ferdinand Holmberg and Anna Charlotta Lindberg). Lena’s grandfather Gustaf was born in Östra Vingåker, Södermanland. Ferdinand was the son of Per Gustaf Holmberg, who was of part German descent, and of Carolina Taberman. Anna was the daughter of Johan Erik Lindberg and Anna Sofia Carlsdotter. Lena’s maternal grandmother was Elin Wilhelmina, later Vilhelmina, Lindqvist (the daughter of Johan Albert Lindqvist and Sofia Albertina Andersson). Elin was born in Torpa, Västmanland. Albert was the son of an unknown father and Johanna Lindqvist. Sofia was the daughter of Johan Peter Andersson and Anna Catharina Ersdotter. Lena’s biological paternal grandfather was Thor Gösta Åberg (the son of Johan Teodor Åberg and Anna Emelie “Emilia” Lindström). Gösta was born in Skanör, Skåne. Johan Teodor was the son of Olaus Åberg and Amalia Mathilde Smith. Emilia was the daughter of Johan Petter Lindström and Christina Charlotta Mattsson. Karin was born in Alnö, Västernorrland. Nils’ full name is Nils Magnus Johansson Högberg, and was the son of Johannes Jönsson Högberg and Karin Jonsdotter. Correct Ida’s maiden surname to Lundqvist, and she was the daughter of Anders Lundqvist and Brita Lisa (later Elisabeth) Öhman. Lena’s maternal grandfather was Gustaf Arvid Holmberg (the son of Gustaf Ferdinand Holmberg and Anna Charlotta Lindberg). Lena’s grandfather Gustaf was born in Östra Vingåker, Södermanland. Ferdinand was the son of Per Gustaf Holmberg, who was of part Germand descent, and of Carolina Taberman. Lena’s great-grandmother Anna was the daughter of Johan Erik Lindberg and Anna Sofia Carlsdotter. You wouldn’t have said this if you had seen her in “The Unbearable Lightness of Being”. ;-) Of course, this was 25 years ago. She looks like a man.